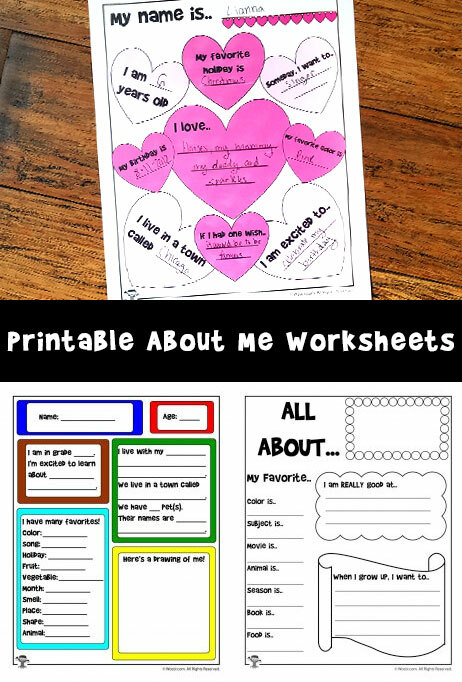 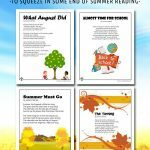 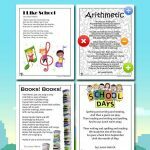 So many teachers are getting ready to kick off the new school year right now – so we’ve put together a brand new set of printable “About Me” worksheets! 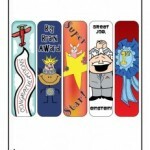 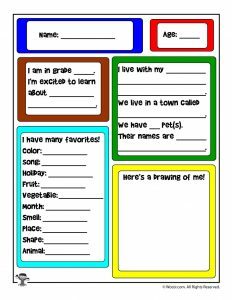 These are a teacher favorite to help you get to know your new students, and to help the students get to know each other better as well. 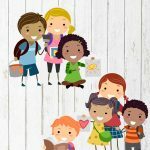 We’ve developed two that are in color if you have the ability to print in color, and two that are light on toner/ink use that the kids can color themselves if they choose. 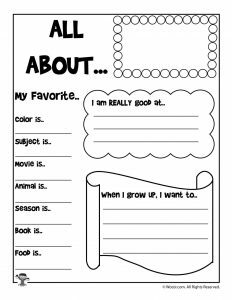 Example questions included are what their favorite holidays, foods, colors and animals are, facts about themselves or their families. 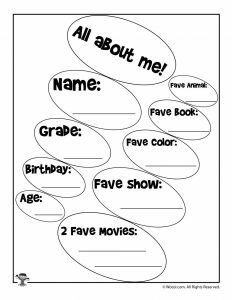 We’ve also included a few good personality questions such as what they want to do someday, what their strengths are, or what they are currently excited about!